The Art Tarot is a tool for self-reflection and awareness. Depicting energies rather than personalities, these cards bring the ancient system forward into modern times, replacing the medieval figures and language with designs and words which speak to our 21st century lives. 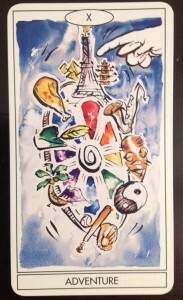 The cards can help us orient to timeless principals in the midst of life’s immediate changes. In the following interview, Lande describes his creative process and draws on his years of teaching music to talk about the way he approaches not only deck making, but reading for others, or reading with others, a phrase that better represents his generous and open-hearted approach to making the Tarot and its insights accessible to all of us. Which deck did you make and why? I’ve been reading for 45 years; I made the Art Tarot deck because every time I read, I didn’t want to have to keep ignoring, translating, and working around the imagery of existing decks that didn’t seem to fit our present time. I love doing collaborative projects so I made the Art Tarot deck in collaboration with two artist friends: Michael (he’s done my music album covers for me in the past) and Chuck (an artist also skilled with the computer). I met Michael on the basketball court in 1971; Chuck has an art studio that now houses my piano. The three of us have a lot in common as artists and as people. I’m not a New Age guy at all; I like sports and jazz, weird jazz even. I’m not fancy. And our group, we are a salt-of-the-earth type of group. We all cared about creating a street-worthy deck, something that would help others get a better sense of what’s true for them. How long did it take to make the Art Tarot? It took us roughly six years. For the first couple of years, it was Michael and I working on the paintings. He does watercolors; I wanted something gentler, not harsh or scary since I don’t see the world that harsher way. Watercolor is nicer. The paintings are large in reality compared to the cards: four feet tall or so. For each card, I told Michael what I was seeing: “Here’s what I say when I read this card…” and I’d give him an idea. Sometimes what he painted was perfect—better even—and sometimes it was not quite communicating yet, so we’d tweak it a little. We’d take the basic cups or swords, the 9 or 7 and talk about it: “Here’s what it means,” and then figure out where to display the suit objects (tight up against the edge of the card or in a circle, one cup off to the side, some tilted, etc.). Sometimes in our process, he’d drag his feet, so I’d bring him one of my drawings and it’d be so terrible, he’d say, “Ok, ok, I’ll do it!” And then he’d paint it. I always keep a diary going, so I spent a couple of years writing and thinking about the deck and my language. While creating the booklet, I had the help of a writer friend. We worked to make the phrases concise. I’d have all these qualifiers and he’d challenge me: “Do you really need all of those in there?” He helped me trim back to the essence of each card. I also thought about what happens when people come for a reading and a reversal falls. Just by the nature of them coming for the reading, and the card falling, the energy of the card and their question is there. So do you tell them that a reversed card means that the energy of that card isn’t there for them? Instead of reading right-side up and upside-down, it’s better to say, “Something little might need to be shifted.” I found that asking a question is more helpful. I’m really asking them, “What is it that needs to be shifted?” I’m helping them get to what they already know. It’s more about admitting whatever it is; and, they already know. So I ask questions in the booklet for reversals. Are you open to new people, places and experiences knowing that they may be positive or negative, irrelevant or life changing? How were you personally changed by making your Tarot deck? Oh, what satisfaction! My goal was to get out of the old images, dualities, and patriarchal oppositions: The Devil, The Pope, Good/Bad, male/female, all these oppositions that are not relevant to my life. Do we have to go through the fear and projection around these old images? Do we even have to have them? Can we get away from faces on people cards? Because it is all just energy. For example, what if you are reading for a woman and the Emperor falls? It’s just leadership, neither male nor female. It is not about gender or religion. And I see with my deck that people are relieved. It makes it easier to communicate with people and to see their lives more clearly. I’m the kind of person who makes himself available to others. When they call, I’ll say, “Pick a number between 1 and 78.” I like to say, “The cards are smarter than me: They are the universe.” I can be compassionate but maybe there’s such old wisdom in the cards that we find wisdom that neither of us would otherwise see. The cards help me be of service whether it is a short one-card reading or a three-hour reading. And at the end, if the person says, “I see my situation better,” that makes me really happy. It’s like teaching melody. We are really talking about your singing self. Let’s sing: something simple, like you would sing when you were two years old. We will sing together and we will listen together. What is honesty? What is innocence? What is resonance? It is something we feel, know in our hearts. Innocence, resonance, and looking at the heart of the matter together–whatever it is–we are all teachers and learners. And all the divisions, right vs. wrong, are heartbreaking. We’re all the same: We all want to be moved to the core. 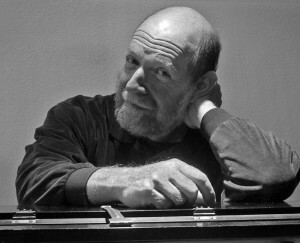 Grammy-nominated Art Lande is considered one of the premiere improvisational jazz pianists today. He began piano at age 4, studied at Williams College & moved to San Francisco in 1969. He has mostly carved out his own singular path throughout his career, taking the innovations of Bill Evans several steps further. In 1973 he recorded with Jan Garbarek and Ted Curson and in the mid-1970’s had started his own jazz school. In 1976 he formed the quartet Rubisa Patrol which recorded for ECM and lasted until 1983. After teaching for three years in Switzerland, Lande in 1987 moved to Boulder, Colorado where he played a weekly performance for 15 years. Each week had different music and drew from a large list of different bands, members and seasonal special guests from nearly everywhere. Live performances are not to be missed, an occasion full of musical adventure and inspiration, spontaneity, warmth and soul. Lande appears in many of the “Who’s Who in Jazz” encyclopedias available today for his role in the development of “Chamber Jazz.” To learn more about his music and for a calendar of events, visit Art Lande’s website. 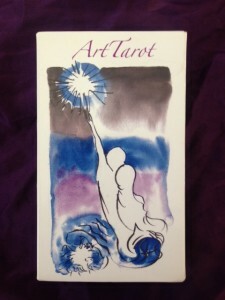 Visit this link to purchase The Art Tarot Deck.